Three months after the foiled terror France confirms the Iranian Regime was Behind the attack. In response to the Iranian regime’s involvement in a terror plot against the Iranian opposition at a rally in Paris, French authorities froze assets held by several suspects. The plot, due to be carried out in late June, involved a Belgian-Iranian couple using an explosive-laden vehicle to attack the People’s Mujahedin Organisation of Iran’s (MEK’s) annual Grand Gathering. The French government was unambiguous in its condemnation of the Iranian regime. A diplomatic source told Reuters that the assets were frozen after a “long, meticulous and detailed investigation by our [intelligence] services”. Following the investigation, Paris concluded, “without any doubt, that responsibility fell on the Iranian Intelligence Ministry”. The French government’s investigation has been collaborated by separate investigations undertaken in Vienna, Brussels, and Berlin. Among the Iranians with assets frozen is a diplomat, Assadollah Assadi. He was working in the Iranian embassy in Vienna, Austria, at the time of the attack, and is allegedly responsible for providing the Belgian-Iranian couple with the explosives. Assadi was later arrested by German authorities and extradited to Belgium, where he could face trial. The other frozen assets belonging to the Internal Security Department in Iran’s Ministry of Intelligence including, the Deputy Minister of Intelligence, Saeed Hashemi Muqaddam. Along with freezing assets, French anti-terrorism units raided a Shia center in the town of Dunkirk. The anti-terror unit believed the center was in “clear support for several terrorist organizations”. Following the French authorities’ crackdown on Iranian-linked accounts and outspoken accusations against the Iranian clerical regime, the mullahs appeared unphased. Iranian regime’s Foreign Ministry spokesperson, Bahram Ghasemi, said, “if there is a misunderstanding… about a thing that does not exist, be it a conspiracy by others or a mistake, we can sit down and talk about it”. The “misunderstanding” he is referring to could be incredibly costly. 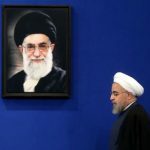 France was among one of Europe’s biggest advocates for salvaging the Iranian nuclear deal, a deal Tehran is fighting to keep alive. The evidence linking the Iranian Ministry of Intelligence to the failed terror attack in Paris could have grave consequences to Iranian-French relations, and in turn, cause the nuclear deal to slip through Khamenei and Rouhani’s grasp. The French government have not been the only ones condemning the actions of the Iranian leadership. British MPs, former Italian ministers, and former members of the US Senate have also condemned the actions of the Iranian regime as a clear violation of international law. Speaking at a conference last week, the men urged the European heads of state to take a tougher stance against Iran’s state-sponsored terrorism both in the Middle East and in Europe. The regime’s state-sponsored terrorism is even undermining its own objectives. It is further isolating Iran at a time when Iran needs all the economic support it can get following the reintroduction of US sanctions. The mullahs are on a dangerous path. Continuing to involve themselves in terror plots on European soil will only leave them in a more precarious situation. The nuclear agreement will be the worst of their worries when the heads of Europe side with the US and leave Rouhani without a lifeline in the economic wilderness. 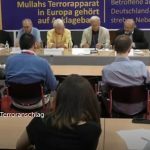 On August 22nd, 2018, the National Council of Resistance of Iran (NCRI) held a news conference in Berlin to reveal new information on the Iranian regime’s foiled terror plot on European soil back in June. The conference featured speakers, Martin Patzelt, a member of the German Bundestag and member of Germany’s Human Rights Committee, Eduard Lintner, State Secretary in the Federal Ministry of the Interior, Bernd Hausler, Human Rights Commissioner of the Bar Association in Berlin, and Javad Dabiran, of the NCRI. On June 2nd, as Iranian opposition groups, including the NCRI and the People’s Mujahedin Organisation of Iran (MEK), gathered for their annual Grand Gathering in Paris, a Belgian couple of Iranian descent were travelling in a car with 500g of homemade explosive, determined to carry out a terrorist attack against the MEK and NCRI. 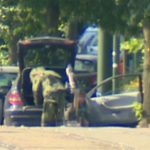 The couple had received the explosives, as well as their instructions, from Assadollah Assadi, an Iranian regime diplomat working at the Iranian embassy in Vienna, Austria. Bernd Hausler described the devastation that was no narrowly averted. He said the plot could have “targeted thousands of participants”, including “hundreds of politicians”. He asserted that the issue “should be of international concern”. Hausler echoed comments made by the US State Department urging all countries with Iranian embassies to be vigilant of covert terrorist activities. Hausler said, “we want all countries to be vigilant about the Iranian regime’s use of its embassies as cover for its terrorist activities”. After Hausler, Javad Dabiran from the NCRI addressed those in attendance. He began by informing the audience that the US State Department had arrested two intelligence agents in the US on August 9th. He said that the pair, Ahmadreza Mohammadi Doostdar and Majid Ghorbani, were plotting attacks against the MEK and NCRI. The pair were responsible for gathering information on the MEK and had been actively doing so since at least March 2017. They were sending this information back to Iran, so the regime could coordinate cyber-attacks, kidnappings, and assassinations against the MEK. He went on to reveal that Assadi, who is currently in custody in Germany, was an explosives expert within the Iranian Ministry of Intelligence (MOIS). Dabiran revealed Assadi has a long history of terrorist acts from his posting in Baghdad, and in his position at the Iranian embassy in Vienna, he was responsible for coordinating terrorist plots all over Europe. In response to Assadollah Assadi’s arrest, the Iranian regime has established a Supreme National Security Council to mitigate the international fallout of his arrest. The council includes senior members of the MOIS, IRGC and Quds Force, and has been charged with securing Assadi’s release from custody. The regime is fighting Assadi’s extradition to Belgium and the initiation of legal proceedings. It wants to see him extradited to Austria, where the regime holds much more influence, and could potentially negotiate his return to Iran. What do we know about Assadi? Aside from his position as a lynchpin for plotting terror attacks across Europe, Javad Dabiran also revealed his former responsibilities in earlier postings for the MOIS. Assadi joined the MOIS in his birth province, Lorestan. He was initially responsible for rounding up members of the MEK and Iranian opposition groups. He was shortly promoted and began becoming involved in coordinating attacks. During the US invasion of Iraq, he was sent to Baghdad with the instruction to collect intelligence on the coalition forces. He spent four years in Iraq, serving in his Baghdad posting between 2004 and 2008. During this time, he effectively coordinated attacks against the coalition and the MEK in the area. He played a central role in the kidnapping and assassinating key Iraqi officials, as well as coordinating roadside bombings, and IEDs. He was also heavily involved in the May 2006 bombing which killed 11 Iraqi workers traveling in a bus to Camp Ashraf (the headquarters of the MEK). NCRI representative, Javad Dabiran, also shed some light on Assadi’s position in the regime’s chain-of-command. He revealed information that suggested Assadi reported directly to Reza Amiri Moghadam, one of the most senior officials within the MOIS and former IRGC member. Moghadam reports to the Iranian Minister of Intelligence and Security, Mahmoud Alavi. Given Assadi’s proximity to senior regime officials, Dabiran concluded that following Khamenei’s approval of the terror plot against the MEK in Paris, Alav would have briefed Moghadam on the details, who would have entrusted Assadi to orchestrate the plan. Dabiran ended his address with a plea to the US and Europe. He asserted that the international community faces a “highly-organised campaign of terror by the main state-sponsor of terrorism [the Iranian regime]”. He cited the failed bombing plot in Albania in March, the Paris plot, and the recent arrest of regime agents on US soil, as evidence that “the clerical regime has given new momentum to all of its entities that are engaged in terrorism in the West”. The NCRI, therefore, proposes that justice is brought to Assadi and all those involved in the terror attack against the MEK and its allies. It also proposes that Europe arrest, try, and expel Iranian agents carrying out subversive operations on European soil. Finally, it recommends that the regime offices in Europe be closed. Dabiran concluded, “the only solution is firmness. Any leniency or hope for a change in the conduct of this regime is naïve and delusional, and will result in dire consequences”. In a report published in the Washington Times on Thursday, July 12th, the Iranian opposition coalition, the National Council of Resistance of Iran (NCRI), revealed, that senior members of the Iranian regime approved the planned Iranian terror attack on the Free Iran Rally in Paris. 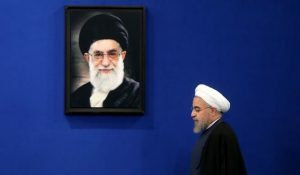 The group’s intelligence sources within Iran allege that President Hassan Rouhani and Iran’s Supreme Leader Ayatollah Ali Khamenei were involved in the plots organization. The report from the NCRI and the People’s Mujahedin Organisation of Iran (MEK), said the attack was approved by every level of Iranian power, including Ali Khamenei, Regime’s Supreme Leader’s office, regime’s Foreign Ministry, and the Islamic Revolutionary Guard Corps (IRGC). 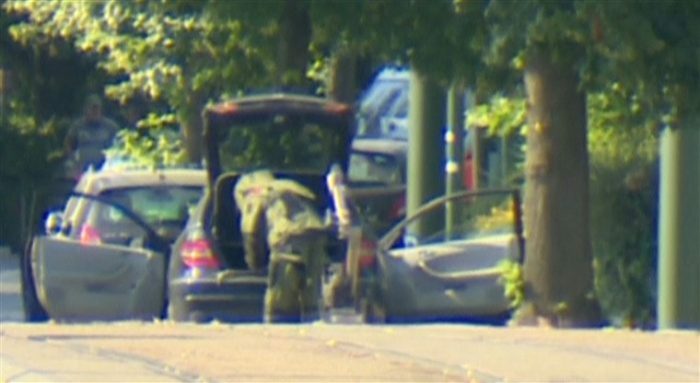 The attack was foiled when Belgian authorities stopped an Iranian couple traveling in a car packed with explosives. The couple was traveling to Paris where the NCRI and the MEK were holding their annual Free Iran Rally. The two had received the explosives and instructions from Assadolah Assadi, an Iranian diplomat posted at the Iranian embassy in Vienna. German authorities later arrested Assadi. In the NCRI and MEK’s report, it was revealed that Assadi’s real job title is the Ministry of Intelligence station chief in Vienna. His role was to spy on MEK activities, and he traveled extensively across Europe in this capacity. The attack has drawn attention to the Iranian regime’s use of embassies abroad to coordinate a network of espionage and terror. In a press release from the US Department of State on Tuesday, July 10th, a Senior State Department Official urged nations with Iranian embassies on their soil to examine embassy operations to “ensure their countries’ own security”. US Secretary of State Mike Pompeo also offered words of caution to the international community. He said Iran frequently uses its embassies abroad as terrorist centers. He told the UK’s Sky News that the US has frequently “seen this malign behavior in Europe”. A Senior State Department representative speaking on the sidelines of the NATO conference in Brussels also disclosed discussion points that were raised on a recent visit to Saudi Arabia. “We discussed how Iran uses embassies as cover to plot terrorist attacks”, he said. The MEK and NCRI are calling for Assadolah Assadi to face charges in Belgium for his involvement in the plot. However, the regime has fiercely rejected any notion of the diplomat facing charges. It wants the German authorities to extradite Assadi to Austria, where he will receive diplomatic immunity. 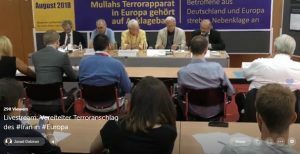 MEK spokesman, Shahin Gobadi, explained the Iranian opposition’s decision to campaign for Assadi’s extradition to Belgium. “In Belgium, it is more probable that Assadi will face justice and has to answer all sorts of questions and does not have any diplomatic immunity,” he said. The fate of Assadi remains to be determined. As does the future of Europe’s Iran policy. Meetings have continued this week on the fringes of the NATO summit, and the topic of Iran has been on the table in many of these meetings. The governments of Europe continue to grapple with how best to approach the Iranian regime following the withdrawal of the US from the nuclear deal. However, an equally pressing matter should be the issue of how best to dismantle the Iranian regime’s network of spies operating with impunity in the heart of Europe. If Assadi escapes trial, it will send a dangerous message to Iran’s intelligence officers operating within embassies across Europe. Europe’s future security depends on how it responds to this crisis.